In order to help email users discover the origins of the mails they receive from companies or even individuals, GoLookUp has launched an Email Lookup directory that conducts an email address search within minutes. Wilmington, DE, March 29, 2018 --(PR.com)-- Ever since emails became a means for communications in the business world and also in every-day life, they also became a means for advertising. As a result, nearly 50% of all emails sent inside the United States are spam advertisements, and some even contain malware. Public records in the USA allow people to search for valuable information, such as criminal records, contact information and also conducts thorough background checks on people and companies. GoLookUp's search email service performs a public records search within minutes, allowing users to find out who is sending them email. The email addresses directory requires users to enter the email address in question, and if provides a report about it shortly after. 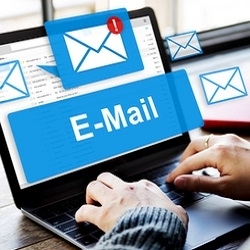 The information on the email lookup includes contact information of the person or company who sent the email, the origin of the email and much more. The email address lookup allows GoLookUp users to find out if the mails they receive may have malintent, and also find out more about the past of the person or company that sent them. The contact information on the directory provides the name of the person who sent an email, and with that, the websites users can conduct a people search or even a reverse phone lookup in order to discover if they have a criminal past. Many people today receive emails they did not sign up for, and in order to protect themselves and any information found on their computer, GoLookUp has set up an advanced email lookup directory. By searching the origins of a certain email address, GoLookUp users can decide whether to block it and also find out about the past of the person or the company behind it.